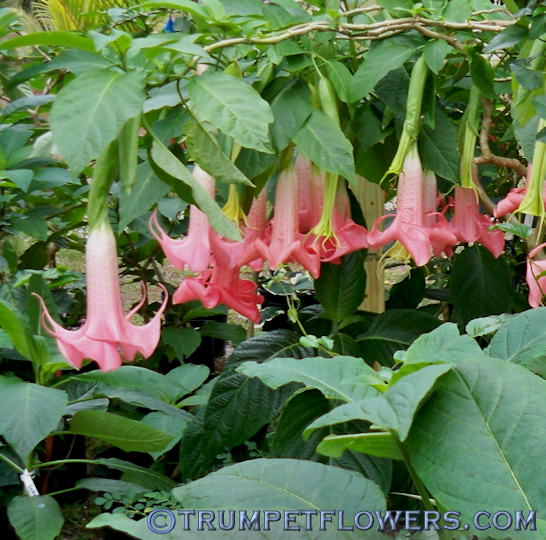 Angels trumpet Dorthea heritage is Rubiline X Rubiline seedling, or (Ecuador Pink x Rothkirch) X (Ecuador Pink x Rothkirch) and released in 2004. 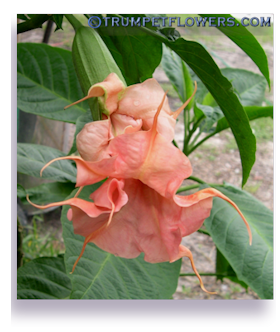 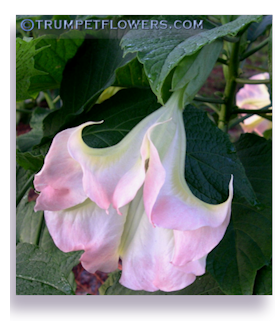 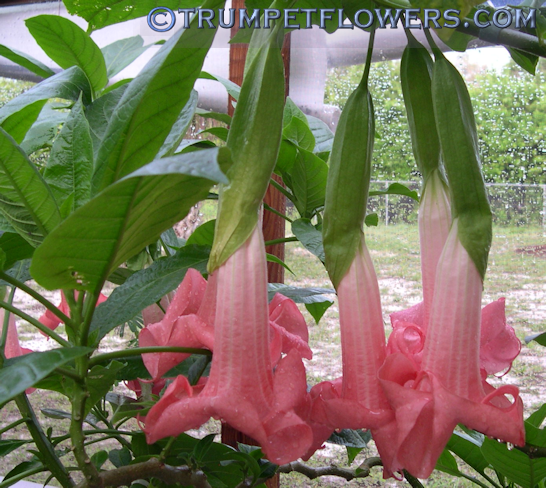 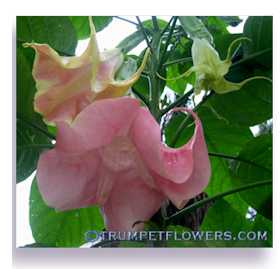 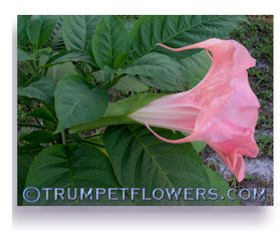 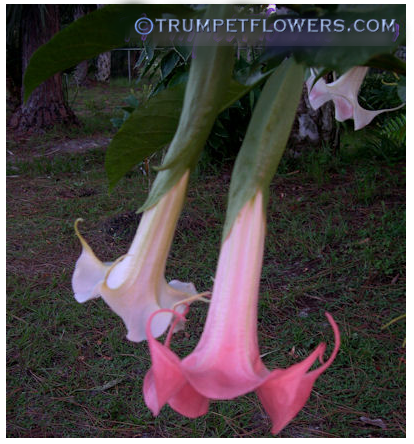 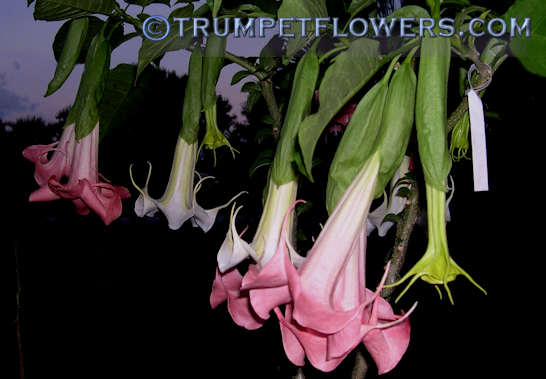 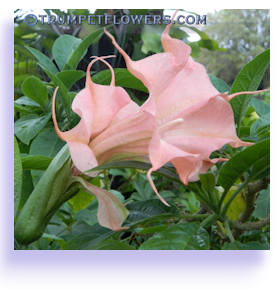 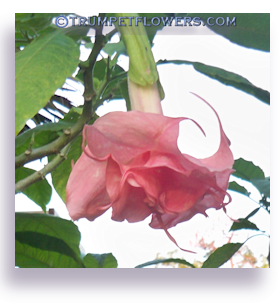 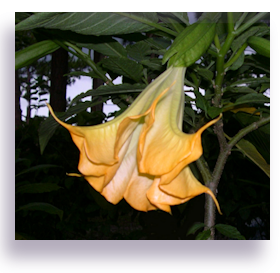 Dorthea brugmansia flushes heavily when fed and watered properly. 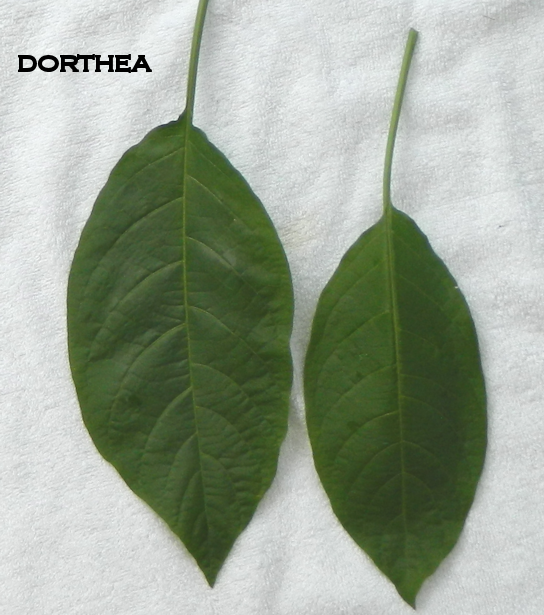 Dorthea has large, shiny green leaves. 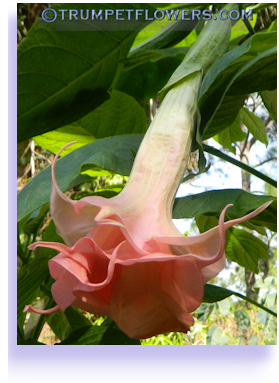 Dorthea bloom on a cooling October, 2013 morning. 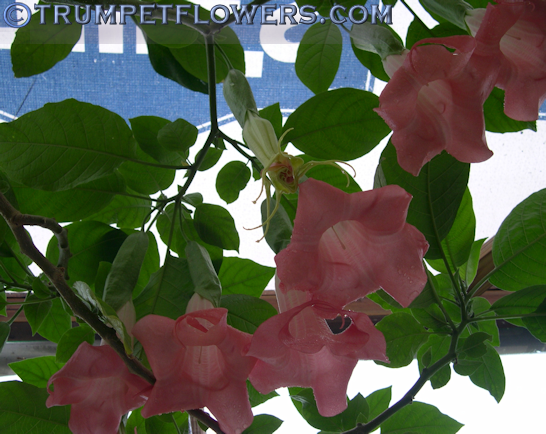 Finally the weather is breaking a bit! 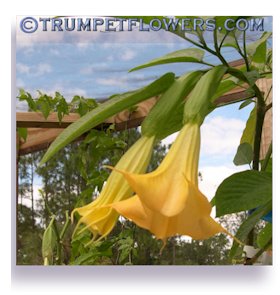 Brugmansia Dorthea puts out a lovely, spicy babypowder scent even in the heat of summer. 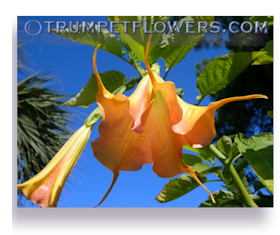 Brugmansia Dorothea is a fast grower, and a large brugmansia down here in the south, where she gets no frost. 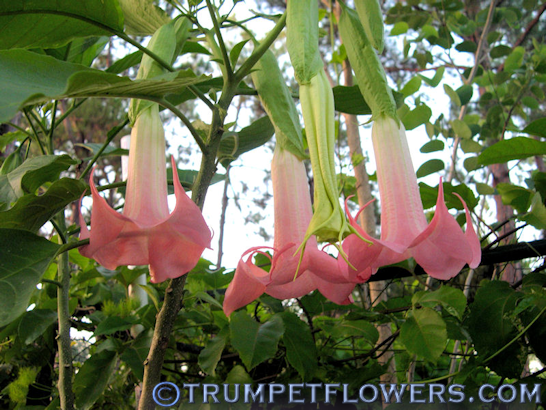 Dorthea brugmansia in this photo is young, and this is her first flush. 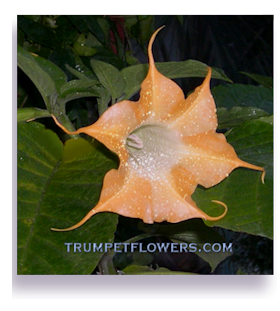 The leaf of Dorthea is large, shiny and smooth to the touch. 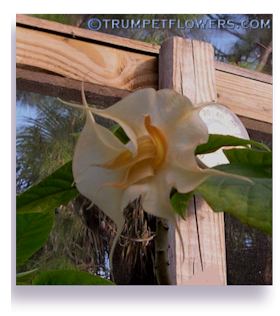 Angel Trumpet Dorothea in early spring, and only about 4 months old, putting out her first small flush.